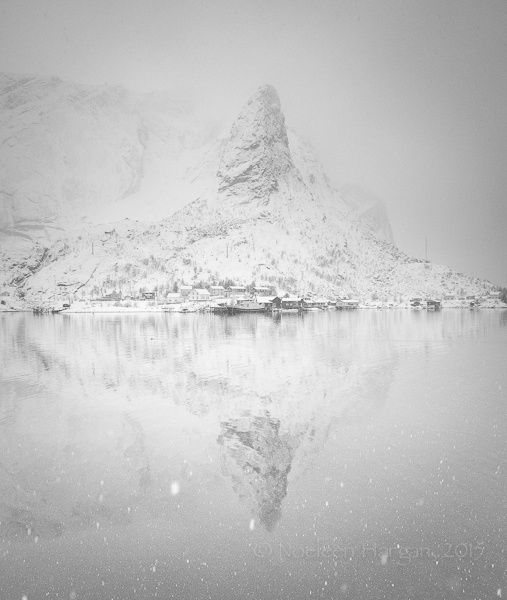 In English this would be Snow Queen, except that Reine is the name of a village in the Lofoten Islands, Norway. And yes, it was snowing that day. This entry was posted on February 19, 2015 by Noeleen. It was filed under landscape, Norway, Photography, Travel, winter and was tagged with Lofoten, mountains, Reine, snow, winter.